When you first see the stamping set, it looks easy peasy. However, there is a bit of a learning curve here, so don't let its simpleness deceive you. 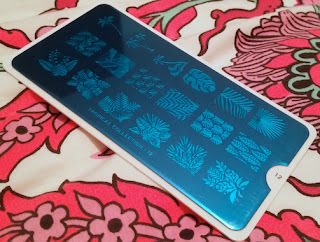 You need to begin by removing the blue cover from the stamper plate. Next, choose your pattern. Once you have chosen your pattern, take a nail polish of your choice (it's best to use a shade that you know to be well pigmented or a one coater) and paint a thick layer over the pattern area. The next step is where the practicing comes in as you need to work quickly. 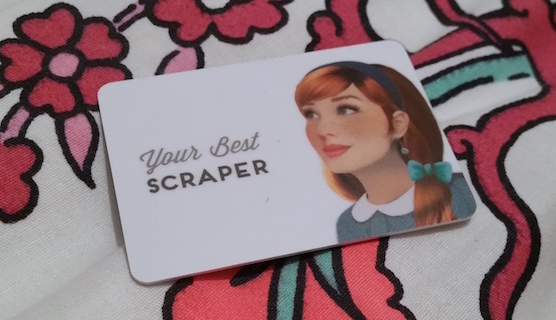 When the nail polish polish has been applied, you need to grab your scraper and place it on a 45 degree angle above the pattern and quickly and precisely scrape the excess nail polish from the plate. As soon as you have done that, you need to pick up your stamper and roll it once through the pattern to transfer the polish to the stamp. 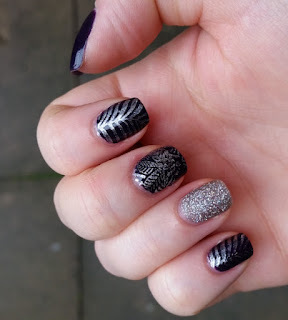 Next, line up the pattern on the stamper with your nail and, again, quickly roll it over the nail. Clean off the mess around the nails and top off with a top coat to make it last longer. For the first look, I used O.P.I's Viking In A Vinter Vonderland (the dark purple) and My Voice Is A Little Norse* (the glitter polish), both from the 2014 Nordic Collection along with O.P.I's Turn On The Haute Light (silver) from the 2014 Coca-Cola collection. 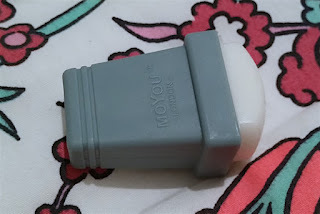 I started off by tidying up the nails with the Elegant Touch Nail Nippers and The Edge Cuticle Pusher and using Elegant Touch's Nail Apothecary ToughFlex Base Coat* before applying the polish. I used two of the different patterns from the Tropical Plate No.12 for this look. Whilst I was happy with how the pointer and little fingers turned out, I did make a bit of a mistake on the middle finger. Hopefully it's not too noticeable as I tried to cover it, but I do need a bit more practice with this stamping! 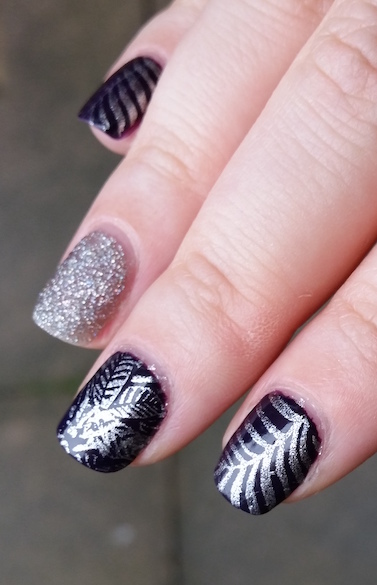 I was okay with the first few steps, I applied enough polish, I was swift with the scraper, the stamp picked up the pattern well, but I really need to work on my aim when it comes to applying it onto the nail. 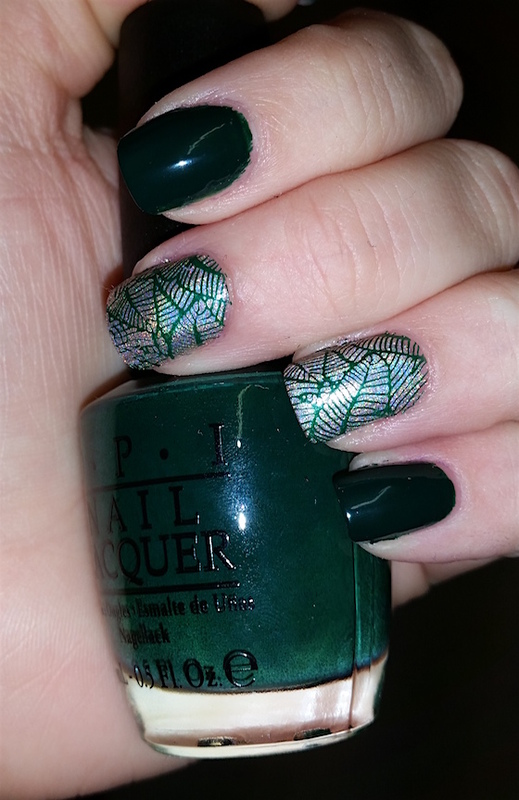 For this look, I used O.P.I's Christmas Gone Plaid* (dark green) from the Gwen Stefani 2014 Christmas collection and Color Club's Cherubic (tan hologaphic) from the 2013 Halo Hues collection. 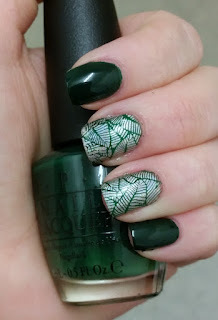 For this look I only used one pattern from the plate. Once again, I made another little mistake on the middle finger (I seem to struggle with this finger whereas the others are fine). I'm actually much happier with how this one turned out as I was more comfortable with the process. I especially love how it turned out on the ring finger. 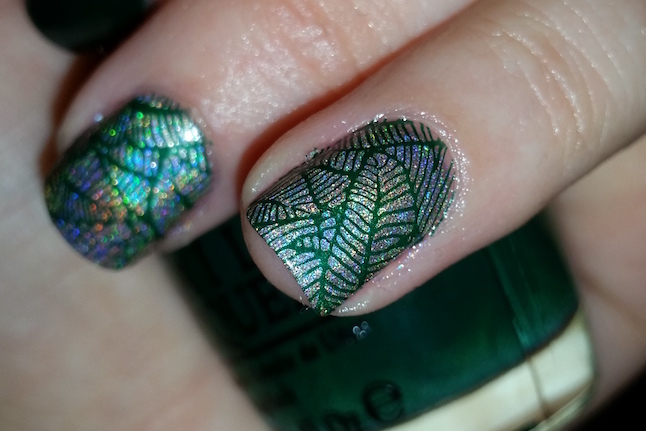 Even though I had never used the stamper plates before, I am now in love with the endless list of looks you can achieve with them. Now I've started, I want all of the plates (starting with those Xmas plates!). It is a little awkward to get the hang of at first, but I'm finding that the more confident you are with the process the better it turns out. If you get stuck, try printing a few times on a sheet of paper to practice your technique (I think that I'll be giving this a go!). In addition, I also adore my new O.P.I shades. How stunning are the colours? They offer free express, tracked delivery with a spend of £15 and up and they have over 1,000 colours and treatments in stock. If you order before 2pm Mon-Fri they will dispatch the same day! 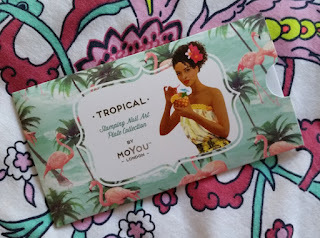 And you can find the MoYou Tropical No.12 plate over at MoYou London for £4.99. What are your thoughts on the nail designs? What is your favourite of the O.P.I nail shades? *The products featured in this post were sent to me by NailPolish.co.uk for nail art swatches, but this has in no way affected my opinions on each of them with them with all thoughts and feelings expressed being my own.